One thing that is nearly synonymous with startups and startup culture is the awesome gaming experiences that many companies provide to their employees. Gaming is a great way to unwind, burst through a creative block, and to interact with people from other departments. Notley Ventures, an Austin-based startup, decided to use gaming for a great cause by creating a citywide Olympic-style fundraiser called the Startup Games. Local startups compete in games like Mario Kart, Dodgeball, Pop a Shot, etc for an opportunity to win some serious dough for their desired charity. Since the event was highly successful in Austin, the organizers took the act to other cities, with Atlanta being the first stop of their three-city tour. And CallRail did not hesitate to rise to the challenge. Gaming and giving back are two things CallRail employees are passionate about, so of course, we had to join in on the fun. In the months leading up to the event, CallRailers voted to play for Women Who Code, t-shirts were designed, teams were formed, and practicing commenced. All of the preparation paid off: We placed third out of eleven teams, winning $3,000 for Women Who Code. Sabrina (Engineering), Manatsu (Engineering), Veronica (Sales), and Selina (Support) had the fastest hands in Catch the Light, while Chelsea (Operations) and Gloria (Support) dropped the mic after delivering the winning joke in the Dad Battle Contest. Oh, and Mia (Operations) dropped it like was hot into an epic split to help win the Dance Battle Contest, and our CPO, Kevin Mann, tried out his poker face with other C-suiters in Liar’s Dice. The other winners were GA Tech’s incubator, ATDC, bringing home the gold and $8,500, and the local Atlanta music festival and conference A3C, which brought home the silver and $5,000. Who knew that gaming and giving back could reap such great benefits for the CallRail team, like team-building, enhancing our company culture, forging new friendships and connecting with other local startups? 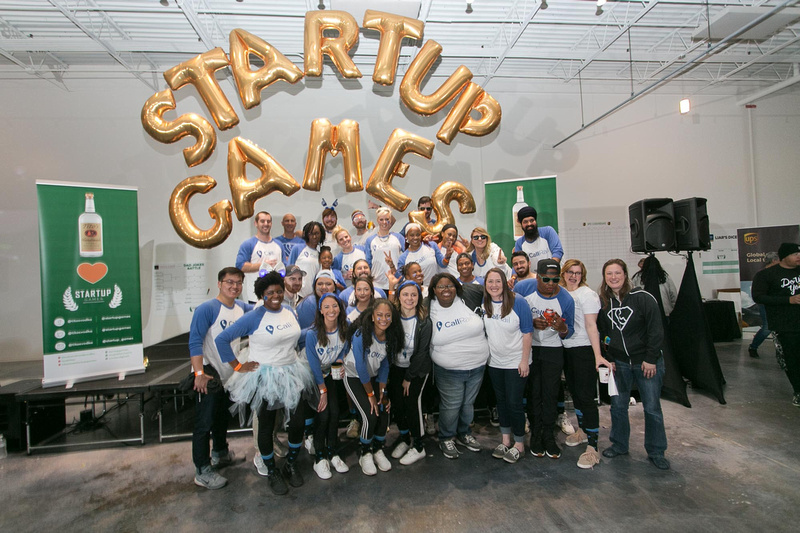 Our participation in the first annual Startup Games Atlanta confirmed the fact that CallRail is truly one of the best places to work. Looking for a company that optimizes for employee happiness? We’re hiring! Visit our careers page to check out our openings.